The hipsters were all up in arms about this ad, the facebook link got flooded with people who felt personally hurt by it. 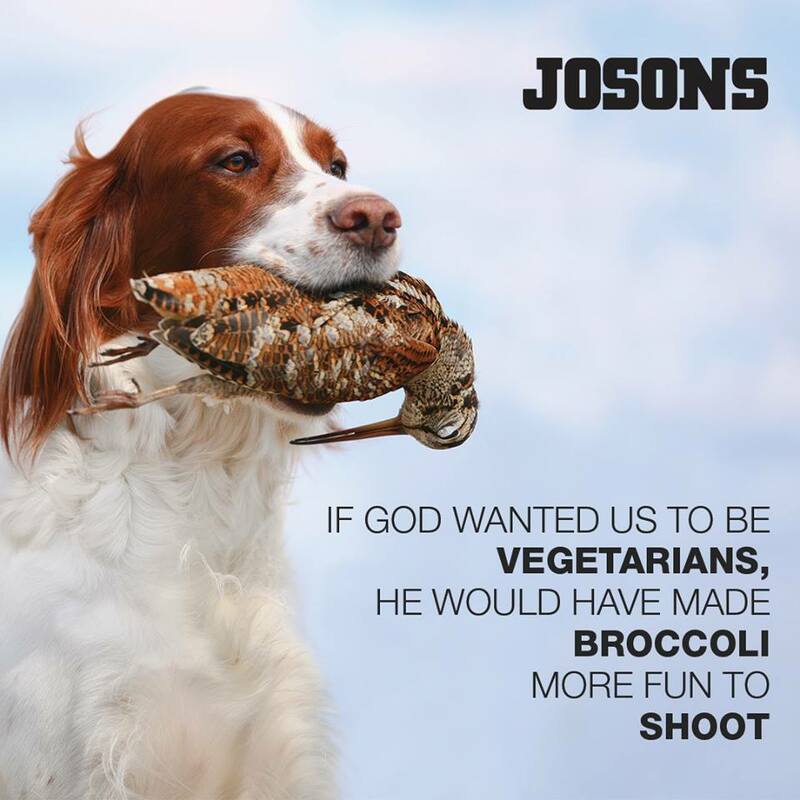 "If God wanted us to be vegetarians, he would have made broccoli more fun to shoot".... I have seen too many variables of it - one for example on a pub in the US "If God wanted us to drink beer he would have given us a stomach". Some people found it to be of bad taste (apart from the raging hipsters that is), I think it I were to have a reproach to the ad it is that the Josons target audience might not really engage with such an ad, but things is - and surprisingly - I found this funny! I mean, we can take a joke so lighten up a bit!